Treasury Wine Estates has rolled out a ‘premium wine-on-tap programme’ for restaurants and hotels in Hong Kong to boost wine sales in the on-trade. 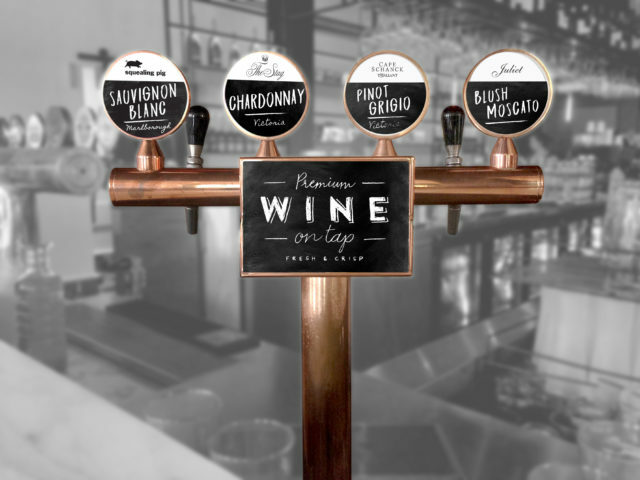 Inspired by the concept of beer on tap, TWE’s “Premium Wine-on-Tap” programme is expected to provide “a smarter choice” for drinks professionals with increased serving speed, less wastage and avoiding the hassle of opening and discarding bottles, the company argued. “With wine from the tap, consumers can trust that they always receive a fresh glass of wine as our winemakers intended them to enjoy. Wines poured from the tap provide a fresh and perfect pour every time,” TWE said in its statement. The “Premium Wine-on-Tap” offering at the moment includes Australian Rosé and Pinot Noirs from T’Gallant and Marlborough Sauvignon Blanc from Squealing Pig, the company said. The programme is available at Renaissance Hong Kong Harbour View, the Hong Kong Jockey Club Racing Happy Valley, Hong Kong Jockey Club Happy Valley Clubhouse, Airport World Trade Centre Club by Premium Plaza Group, Hong Kong Ocean Park Marriott Hotel, Sheraton Hong Kong Hotel & Towers, Zaks by Castelo Concepts, Wagyu by Castelo Concepts and The Square by Maxim’s. The programme was announced during TWE’s first ever portfolio tasting in Hong Kong to showcase the Australian wine company’s expanding country-of-origin collection of wine brands. More than 22 wine brands from the TWE portfolio were on pour including Australian icons Penfolds, Wolf Blass and Wynns; Beaulieu Vineyards, Beringer Vineyard and Stags’ Leap Winery from the Napa Valley; as well as Maison de Grand Esprit from France in addition to some lesser known brands such as Matua from New Zealand; Coldstream Hills, Saltram, Seppelt and Pepperjack from Australia; and Etude from the US.